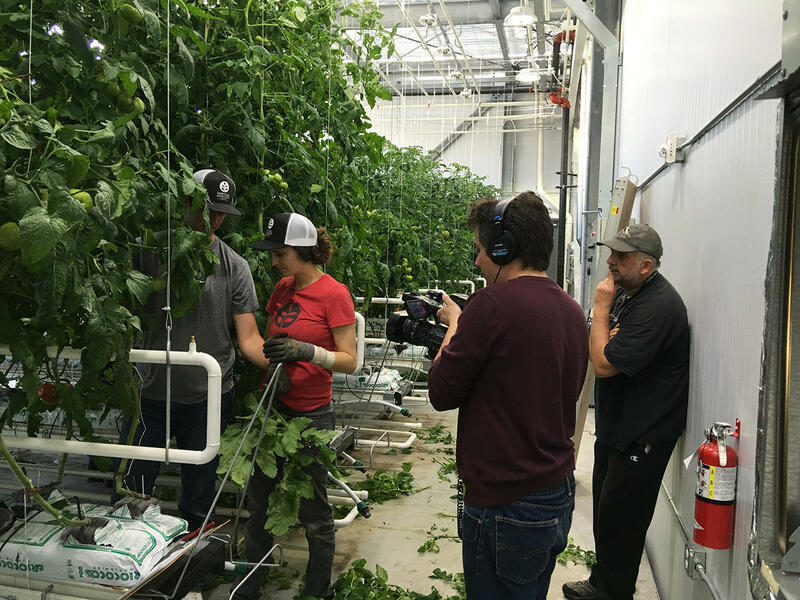 Blake Ciulla, Co-Director of Photography, films Joelle teaching Ty how to care for the tomato plants. Ty's dad, Bill, watches. A Jackson Hole documentary filmmaker, Jennifer Tennican, is premiering her film "Hearts of Glass" at the Wild and Scenic Film Festival in Northern California later this month. The film follows the trials of the first 15 months of the Vertical Harvest project. Vertical Harvest is a Jackson Hole-based company that uses hydroponic soilless farming methods to make the most out of limited space and water. Tennican was impressed by what the company is able to do with such limited space utilizing some of the only vertical carousels, a Ferris wheel for plants, in the world. "I believe Vertical Harvest is the only greenhouse with these vertical carousels. I think they were constructed for Vertical Harvest." She said, "The greenhouse itself is on a remnant strip of land left over from the town parking garage. So, it was a very narrow site 30 ft wide by 110 ft. long." According to a United Nations report, by 2050 agricultural production will have to increase by 70 percent to keep up with population growth. Vertical Harvest is trying to utilize land and water more efficiently in hopes of solving that problem. It also employs people with disabilities to do many different jobs. Tennican was especially excited to document the company's commitment to employing people with disabilities. "The employment model is relatively new and employing some things that are considered cutting edge in disability employment." She said, "So, supported employment where many of the employees may have support while they are working." Tennican lives in Jackson and has also produced other locally based films such as "The Stagecoach Bar: An American Crossroads" and "Far Afield: A Conservation Love Story." 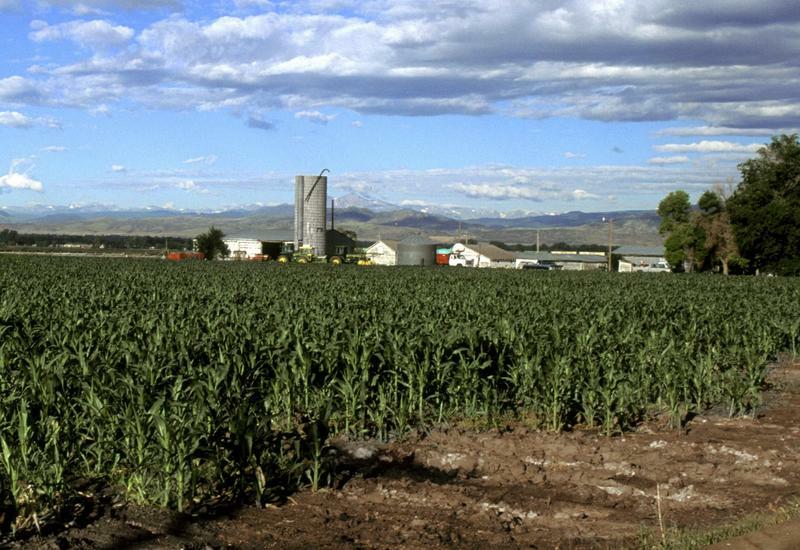 Will Rare Grains Prove Profitable For Wyoming? The University of Wyoming (UW) is embarking on a new age by increasing its focus on economic development and entrepreneurship. One new project is taking this vision even further by trying to develop a new niche agricultural market for the state by producing first-grains, and the key to this innovation is actually ancient. Studies show that Albany County has the highest rates of food insecurity in the state. One organization hopes to fix that with the help of a $400,000 Food Project Grant from the U.S. Department of Agriculture. Bright Agrotech, an indoor farming technology company based in Laramie, introduced a first-of-its-kind lighting system on Thursday. CEO Nate Storey says indoor farmers depend on artificial light in the grow houses. But where there is light, there is also heat.